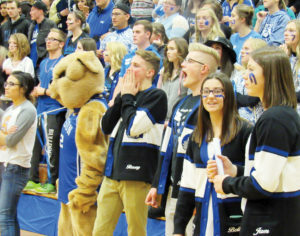 Gunnison student body officers, along with the school’s costumed mascot, cheer on their school’s competitors in the second Spirit Bowl held Jan. 21 at Gunnison Valley High. MANTI—The North Sanpete School District may ask Sanpete County to serve as what is called a “municipal conduit,” which would enable the district to qualify for $5.9 million in federally subsidized bonds for new furnaces and other energy upgrades. Eric Thatcher, senior sales executive in the Salt Lake City office of Siemens USA, the prospective contractor for the upgrades explained the federal program to the Sanpete County Commission on Jan. 3. Congress has appropriated money to encourage states, cities, counties and other public entities to make their facilities energy-efficient. The money has been allocated to states and larger counties and cities based on population. In Utah, the program is administered by the Governor’s Office of Energy Development (OED). While Sanpete was not one of the counties to receive an allocation, Thatcher said the county could use allocations the state is holding in reserve, or allocations that have been waived by other Utah counties. State and local government entities that want to participate can come up with energy conservation projects. Once the state approves the projects, the government units can qualify for Qualified Energy Conservation Bonds (QECBs) in amounts up to their designated allocations. The North Sanpete School District would not qualify for a QECB bond on its own, Thatcher said. But it could qualify if county government acted as its municipal conduit, or sponsor. Thatcher assured the commission that serving as a municipal conduit would not obligate the county in any way for repayment of a QEBC. A QEBC is among the lowest-cost public financing tools available because the U.S. Department of Treasury subsidizes the borrowing costs. Thatcher told the commission the bond the school district is considering would run for 20 years. Ordinarily, the interest rate on such a bond would be 3.5-4 percent, but the federal offset on the QECB would reduce the rate to 2 percent. Earlier, Siemens to conducted an energy audit of the whole district, including every school, the school district office and the bus garage. Besides redoing the basic heating systems at the three schools, the audit recommended upgrades to heating control systems, lighting retrofits, and weather stripping of windows and doors at all buildings, Ray said. The audit also recommended installation of solar panels at buildings served by Rocky Mountain Power, which offers net metering. The total list added up to the $5.9 million the district is now seeking to fund. Ray said the district hopes to find some of the funds to pay off potential bonds from energy cost savings. The district is considering a “performance contract” with Siemens under which the company would guarantee a certain amount in savings. If energy savings fell short of projections, Siemens would cut a check to the district for the difference. Commission Chairwoman Claudia Jarrett asked when the commission could expect to see a draft application from the school district for the QEBC program. Thatcher said that engineers from Jones and Demille are reviewing the proposed project. Once the review is complete, the North Sanpete School Board would vote on the project. If the board voted to move forward with QECB funding, the commission could expect to see a request from the school district for a resolution approving the application in 30-45 days after the vote. Meanwhile, Superintendent Ray emphasized that a QECB bond sponsored by Sanpete County was one of three funding strategies the district was exploring. North Sanpete is also looking into creating a Local Building Authority to qualify for a QECB. Such an authority would be a political subdivision under state law, and as such would be eligible to receive QECB bonding authority on its own without going through the county, Ray said. Another option is a U.S. Department of Education bonding program called Qualified Zone Academy Bonds (QZAB). Bonds under that program are at zero percent interest. But the school district would have to put up a 10 percent cash match up front. Ray said the district put together a request for a grant from Rocky Mountain Power under its Blue Sky program to cover the 10 percent. The fourth option, he said, would be drawing on a fund the Utah Legislature set up to help school districts with building needs. The fund is administered by the Utah State Office of Education. “We’re just trying to turn over every rock” to find a way to fund the upgrades without being forced to go to taxpayers for authority to issue a general obligation bond, Ray said. According to Thatcher, while Siemens would be the general contractor for the work under any of the options, the sub-contractors would almost all be local to Sanpete. For a further update on the project funding, read our coverage of the most recent North Sanpete School District Board meeting on this issue’s school page. 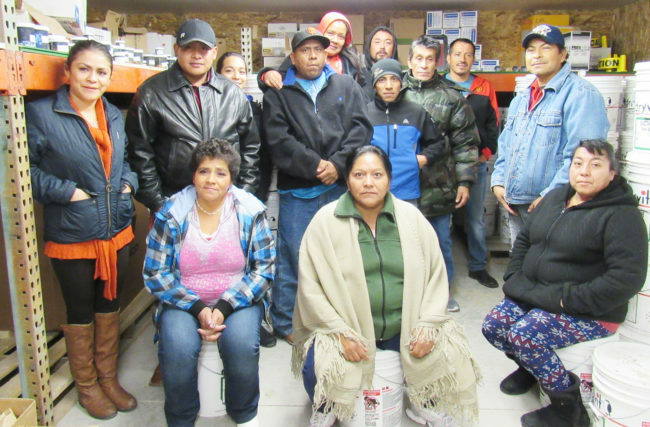 Residents of DJ Trailer Court at 200 North and 200 West in Ephraim gathered in a contractor’s garage Saturday night to discuss their predicament. Ephraim City has sent letters telling them that if the owner of the trailer court doesn’t make major repairs, the city will close the court and turn off utilities, forcing them to vacate. 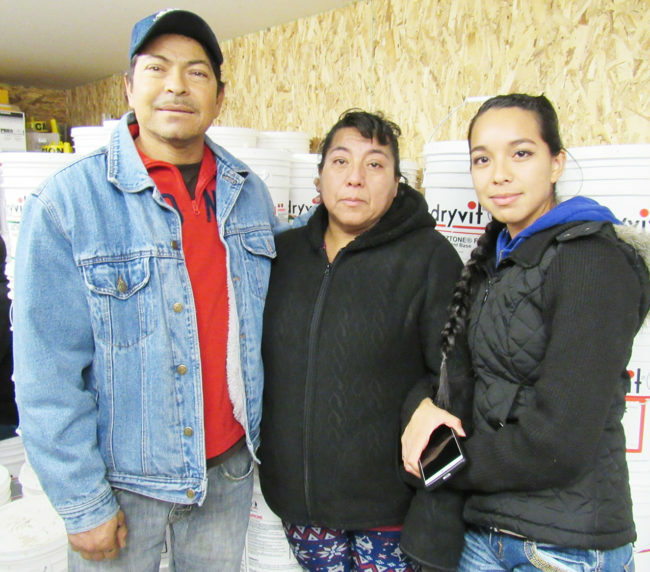 EPHRAIM—With a standing-room crowd of potential displaced residents looking on, the Ephraim City Council last week backed off from its vote to shut down the DJ Trailer Court effective Jan. 31, 2017. At the meeting Wednesday, Dec. 7, the council listened for an hour while trailer court owner David Strate made the case that he had done the things the city had asked him to do to repair the court over the past three years, insofar as he understood them. The council also heard from Connie Hill, chairwoman of the Utah Coalition of Manufactured Home Owners, a nonprofit based in Salt Lake City, about a possible plan to bring in a developer to redevelop the park, after which it would be turned into a co-op facility owned by residents. Finally, the council heard from Chad Parry, director of public works, who said problems with the culinary water system at the trailer court were “really, really serious stuff” posing a danger of contamination reminiscent of what happened in Flint, Mich.
At that point, the council amended the resolution it passed Nov. 2. In some ways, the amendment is tougher, and in some ways more lenient, than the original resolution. 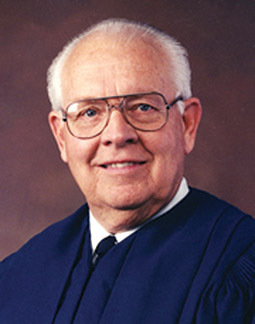 The amended motion gave Strate one week to “address the drinking water concerns with a professional.” He was directed to provide the council with the name of a plumbing contractor and the earliest possible start date for doing work described in an inspection report prepared by Sunrise Engineering, a firm consulting with the city on code enforcement. At the Nov. 2 meeting, the council rejected the plan Strate submitted for remediating problems outlined in an 11-page Sunrise Engineering report. At that time, the council noted Strate’s plan included 45 statements to the effect of “will address later” or saying problems were a tenant responsibility. The amended resolution gives him nearly one more month to submit a new remediation plan “showing exactly what will be done to correct each concern” in the Sunrise Engineering report. That document is due Jan. 4, 2017. If the council does not accept Strate’s revised remediation plan in January, the amended resolution extends the date when the city will shut off utilities from Jan. 31 to March 1. That is the new potential date when 17 families in the trailer court must vacate. Hill said such a plan would be contingent on Strate agreeing to sell the property and the nonprofit developer coming up with $300,000-$500,000. She said she would know in a few weeks if the concept was feasible. Councilman John Scott asked her, based on her knowledge of mobile home parks, how the DJ Court would rank on a 1-10 scale. If a plan isn’t put together to redevelop it, she said, the city wouldn’t have much choice except to close it. Early in his presentation, Strate raised his right hand and swore to tell the truth, the whole truth and nothing but the truth. He claimed problems described in letters from the city to him in 2014 and 2015 had all been fixed. “Where’s the information I ever disregarded anything from the city?” he asked. Strate said that until he received the Sunrise report in late September, he never realized there was a problem with water and sewer at the park. Council members clearly didn’t buy Strate’s contentions. “You’ve acknowledged that by the 22nd of July, you knew there were major issues, major things that were wrong, at the trailer court,” Councilman John Scott said. Yet many of the same issues were raised in the independent report from Sunrise Engineering, Scott said. Not only did the engineering firm find many code violation persisting in the park, Scott said, but it also let the city council know that the city itself could be liable if illness, injury or death occurred there. Councilwoman Margie Anderson cited the warehouse fire in Oakland, Calif. People are saying the City of Oakland could be held liable for deaths of people who were living in the warehouse in violation of zoning and building codes, she said. MANTI—The Sanpete County Commission unanimously approved a $1.5 million property tax increase Tuesday, enacting the 60 percent increase in the certified tax rate the county advertised in October. The commission then approved a $14.6 million budget for calendar 2017, just under $1 million more than it budgeted for the current year. But most of the extra $1 million will come from sources other than property tax. Under state law, a taxing entity decides, first, how much property tax revenue it hopes to raise. Then it figures out what tax rate is required to bring in that much revenue. If property values go up, which could cause more property tax to come in than received the previous year, the taxing entity must either lower its rate to keep revenue stable—or advertise a tax increase. Meanwhile, utilities, asphalt, insurance and a host of other costs over which the county has no control, kept rising. “We hit a hard spot,” Roth said, where static revenues no longer covered expenses, even after trimming. Recently the other fiscal problem has fallen into the county’s lap. Long-time, significant revenue from non-tax sources has suddenly been cut. In 2015, the county got nearly $700,000 from a federal program called Secure Rural Schools, designed to help keep up the roads school buses use to take children to schools in counties where a lot of the land is federally owned and pays no taxes. Congress is no longer funding the program. Historically, the county has received more than $500,000 in federal mineral lease fees for minerals extracted within the county. Some of the extraction is from the Skyline Mine in Carbon County in areas where the underground mine crosses into Sanpete County. But because energy prices have dropped, mining has declined, and the funding coming in has dropped by $375,000. The result has been that the county, while showing a balanced budget on paper, has actually been running deficits. That’s because the county has budgeted more for expenditures in a year than commissioners knew would be arriving in revenue during the year. The commission has made up the difference by budgeting draws from county reserve funds. In both 2015 and 2016, the county budgeted more than $400,000 in revenue to come out of savings accounts, Roth said. The result is that total county reserves are down to $1.3 million, far lower than, for instance, Ephraim City reserves. The biggest single new expenditure for 2017 is a $200,000 deposit to reserve funds. But even as it is depositing, the county is budgeting a draw from savings to make revenues and expenditures balance. Aside from a start at replenishing reserves, the 2017 budget includes about a $160,000 increase in the Sheriff’s Office to cover two new deputies, one a general patrol deputy and one a jail corrections officer. The budget includes $81,000 to cover the first-year costs of six new county vehicles, including three for the Sheriff’s Office, one for the jail for transporting inmates, one for the assessor’s office and one for the building inspector. 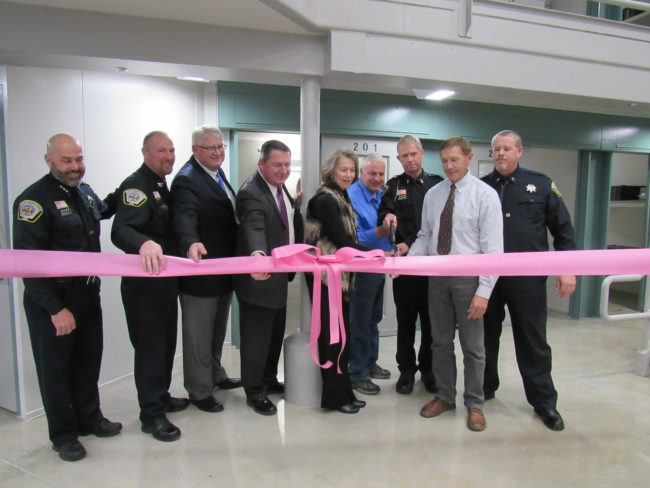 The county put $70,000 in new funding in the budget for maintenance and repairs to cooking, laundry and other equipment at the jail. It added $48,000 to the budget to cover hikes in premiums for fire and liability insurance on buildings, and liability coverage for Search and Rescue volunteers, among other insurance increases. The 2017 budget shows a $39,000 increase for the public works (the Road Department). Most of that is for pay and benefit increases for employees who have earned the raises because of their longevity, Roth said. The county has budgeted for a $10,000 grant to the Sanpete Pantry, the nonprofit that provides emergency food assistance. The new budget also shows small increases for the Central Utah Health Department, Central Utah Counseling Center, senior nutrition and senior center facilities around the county. Brian Strain (in neck brace), who survived an accident in which he was thrown out of a car and the car landed on top of him. Next to him is Teri Tuttle of Fairview, the first EMT to get to the scene, and Trina Johnson, RN, a lead staff member in the Emergency Department at Sanpete Valley Hospital. In front are Brian’s children, Josh Strain, 15; Amberly Strain, 19; and his wife, Vonda. MT. PLEASANT—Brian Strain doesn’t know what caused his car, which was traveling at highway speed, to go off U.S. 89 north of Fairview, hit a ditch and launch into the air. He might have fallen asleep at the wheel; maybe he got distracted thinking about his wedding anniversary and the BYU football game he and his son had just attended, or possibly his car skidded on something in the road. Last week, he got to meet some of the first-responders who saved his life. The occasion was the Extraordinary Save banquet last Wednesday, Nov. 30 at Sanpete Valley Hospital. The event honors people along the whole chain of emergency medical services in the county, including dispatchers, EMTs, and hospital emergency room staffs, for exceptional life-saving performances during the previous year. Besides the Strain accident, two cases were featured. One was a motorcycle accident in which Jeff DeLeeuw of Ephraim got a life-threatening lacerated lung and a host of broken bones. Another was an incident in which a young man from Mt. Pleasant put his arm through a window, causing such serious lacerations he could have bled to death. Sept. 18, 2016 started out to be a great day for Strain. He visited his brother in Utah County and bought an anniversary gift for his wife. Strain is a die-hard BYU fan who has season tickets for both football and basketball. That evening, he and his son, Josh, 15, attended the BYU-UCLA football game, in which BYU lost 17-14. They were perhaps 15 miles from home, at a point known as Hilltop near the exit from U.S. 89 into Milburn, when the accident happened. Josh Strain was wearing a seatbelt. His only injuries were bruises across his middle from the force of the seatbelt and a bloody nose from the impact of the airbag. He went up to the highway and flagged down two passing cars, both from Sanpete County. One was carrying Joan and Kevin Turpin of Mt. Pleasant and the other Gary Black of Spring City. Josh “did exactly what I needed him to do,” his dad said. The passersby did all the could to help. They called 911. Then they tried to get the car off Strain. They couldn’t, which is a good thing, Brian said, because he had a fracture in his C-1 vertebrae, the bone that connects the head to the neck, and if anything had gone wrong causing damage to his spinal cord at that point, he could have been a quadriplegic. Terri Tuttle, an EMT from the Fairview branch of the North Sanpete Ambulance Association, was the first EMT on the scene. She was followed by two paramedics from Mt. Pleasant, Brian Bench and Tracy Braithwaite. “They had a special airbag to lift the car. They jacked it up just enough to get to me,” Strain said. They also called Lifeflight from the scene, which saved critical time, Chapman said. Besides the fractured vertebrae, Strain had a broken jaw, broken orbits around his eyes and a brain injury. Chapman said statistically, the chances of surviving such an accident are low. Strain was in a coma for two days. He said he doesn’t remember anything from before the accident until three weeks afterward. He ended up spending one month and three days at Utah Valley Regional Medical Center (UVRMC). Strain said there were two miracles in his case. The first was that he survived. The second was his rapid recovery, although his passion for BYU sports may have also played a role in his recovery. A friend of Strain knew how much he loved BYU athletics. The friend also knew Chad Lewis, athletic director at BYU. Strain’s friend told Lewis about the accident. Lewis showed up at Strain’s hospital room with a football autographed by BYU’s famous former quarterback Steve Young and a BYU flag. The next important visitor was Kalone Sitake, head football coach at BYU. “He took the time to stop in” and leave a gift bag, Strain said. During the first weeks he was in the hospital, Strain refused to do physical therapy. One day, his physical therapist asked, “Do you want to know the score of the BYU game?” Strain said yes. “Then get up,” the therapist said. The speech therapist told him, “Based on your injuries, if you fit the model, six months to a year.” Three months after the accident, he is back to work six hours a day. Strain’s wife, Vonda, said the community support the family received was overwhelming. “I couldn’t keep up with the text messages,” she said. “We had three wards praying for us,” daughter Amberly, 19, added. The second presentation at the Extraordinary Save banquet featured Jeff DeLeeuw, who was riding his Harley Davidson home from his job at Wasatch Academy when his accident happened. He said he was on Main Street in Ephraim, when a vehicle two cars in front of him stopped suddenly, causing the car directly in front of him to also stop abruptly. He knew he was going to crash into the car ahead of him, and he wasn’t wearing a helmet. He intentionally laid his bike down on the road. His head came to rest under the bumper of the car. He got a lacerated lung, had blood on both lungs, had a mid-spine fracture, and broke his shoulder blade and 12 ribs. According to Chapman, many people don’t survive a lacerated lung, much less laceration with so many other injuries. A Utah Highway Patrol trooper happened to be within eyesight at the time of the accident. “The trooper came up and touched my shoulder. Suddenly I was able to breathe,” DeLeeuw said. The EMTs administered morphine, called for Lifeflight and took him by ambulance to Sanpete Valley. The staff there stabilized him and loaded him on the helicopter for UVRMC. He ended up spending three weeks in ICU. At one point, his kidneys shut down, and staff at the medical center told him later they had feared he wouldn’t make it. Later, he learned he was in the same room where his mother-in-law had died. He has had the feeling that she was there in the room again. DeLeeuw said he bought his Harley back from the insurance company. “I’ll be back riding in the spring,” he said. He added that if his wife insists, he’ll wear a helmet. The patient in the third Extraordinary Save case, the young man with the arm laceration, was not at the banquet and, to protect his confidentiality, emergency responders who presented his case did not use his name. The remarkable thing about the case was how quickly an EMT got there, Chapman said. In New Jersey, an initiative is underway to train citizens to render first aid until an ambulance arrives, he said. The initiative has gotten a lot of national attention. When the call came in about the young man with glass cuts on his arm, Kari Lewis, an EMT in Mt. Pleasant, realized the location was next door to her house. “We all carry a ‘jump bag’ (of medical supplies),” Lewis said. The last time she put her bag together, she had a feeling she needed to put a tourniquet in it. When she got next door, she saw “a young man sitting on the floor with a terrible amount of blood all over him…I turned the tourniquet as tight as I could and added gauze.” That didn’t entirely stop the bleeding, so she wrapped the arm in coban, a rubber latex gauze. Very shortly, another EMT who lives in Mt. Pleasant, Rosa Bowles, arrived. She monitored the young man’s pulse and blood pressure while Lewis worked on stopping the bleeding. 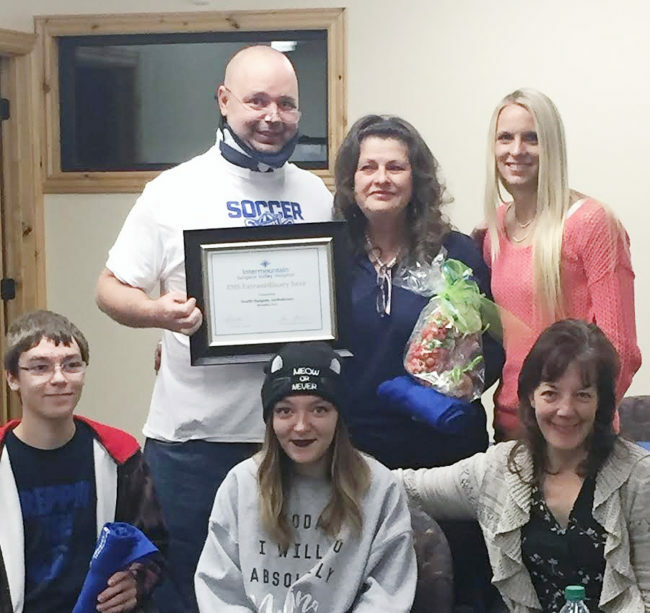 Jeff DeLeeuw, who got through a life-threatening motorcycle accident, (left) with Ephraim EMTs Kim Larsen, Neil Johnson and Christie Johnson. 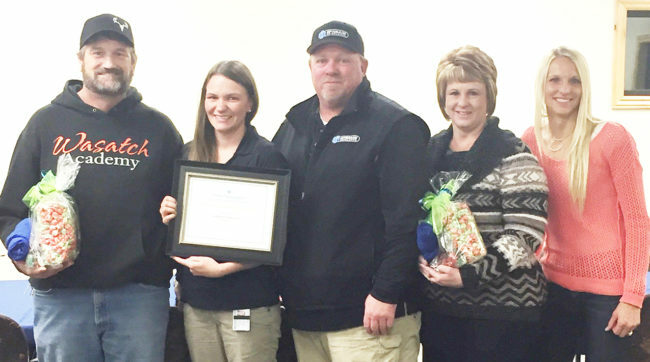 At right is Trina Johnson, RN, of the Sanpete Valley Hospital Emergency Department. The team that intervened when a young man put his arm through a window causing life-threatening bleeding. 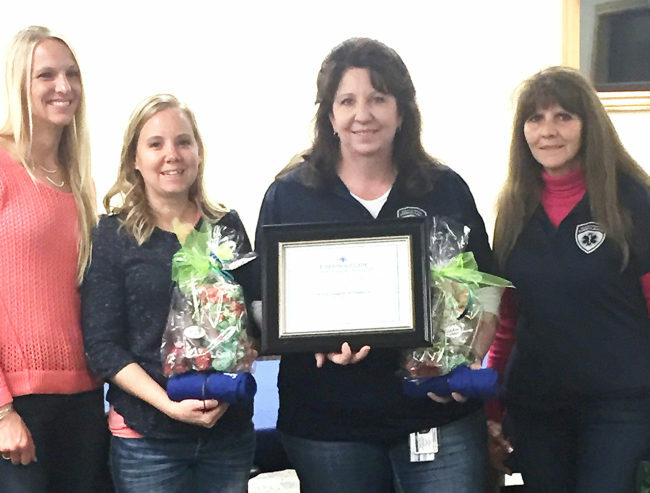 From left are Trina Johnson, RN, of the Emergency Department at Sanpete Valley Hospital; Rosa Bowles, Kari Lewis and Liz Reams, all EMTs with the North Sanpete Ambulance Association. A public hearing is scheduled next week on a petition asking Ephraim City to annex more than 400 acres. 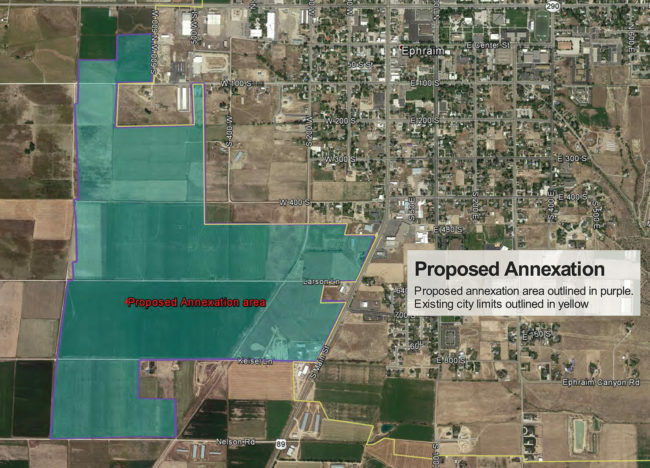 The annexation would enlarge the city geographically by about 20 percent and affect the long-term direction of city growth. EPHRAIM — Ephraim police are still trying to identify the person who has been randomly slashing tires on parked cars around the community. The incidents started in fall of 2015, stopped for a while, and began again after school started this fall. Altogether, more than 60 vehicles have been hit. The culprit jabs a sharp instrument into the sidewalls of tires, flattening and ruining them, according to Police Chief Ron Rasmussen. The majority of cases have been on the east side of town within a few blocks of Snow College. In September, Ephraim City combined an offer of $300 with $200 from Snow College to create a $500 reward for information leading to an arrest. But, Rasmussen said, the very day the reward was announced, the slasher hit again, puncturing a tire on a car parked near the Greenwood Center. The police chief believes the case was the slasher’s way of thumbing his or her nose at authorities and sending the message that they weren’t going to stop him or her. During October, two more cars, both parked on 200 South near 250 East, were hit. Each had two tires slashed. Rasmussen said a couple of cars have been parked on private property at the time tires were vandalized, but most vehicles suffering tire damage have been parked on public streets. The $500 reward is still in force. If you have information, call the Ephraim Police Department during business hours at (435) 283-4602 or the Sanpete County Sheriff’s information line any time at (435) 835-2345. EPHRAIM—The Church of Jesus Christ of Latter-day Saints has relinquished a minor ownership interest in the Ephraim Co-op to Ephraim City, Brant Hanson, Ephraim City manager, announced at a council meeting Nov. 2. The church turned the historic building over to Ephraim City decades ago but retained contingent ownership. When the city was looking into historic preservation grants several months ago, Hanson recommended against seeking grant money or investing city funds in improvements to the Co-op building until the city had 100 percent clear title. Hanson said the church was “excited about what we’ve done to improve (the building) and don’t want to stand in the way” of further improvements. The Co-op once house the Ephraim Co-operative Mercantile Institution, essentially the first general store in Ephraim, and was the first home of Snow College. FAIRVIEW—Sanpete County commissioners attending a Mayor’s and Commissioners meeting last week heard expressions of support for a proposed 60 percent increase in the county property tax levy. At the meeting Thursday, Nov. 10 at the Fairview City Hall, Commission Chairwoman Claudia Jarrett and Commissioner Scott Bartholomew also described some of the input they have received and responded to some of the comments at a public hearing Nov. 3. The county published a Truth in Taxation notice in October stating that it was proposing to raise its rates in order to bring in an extra $1.5 million in property tax revenue. Based on current property valuations in the county, the current certified tax rate for general operations is .002280. The county commission is proposing to increase the rate to .003648. That translates to an increase from 22.8 cents to about 36.5 cents on every $100 in assessed valuation, a 60 percent hike. However, those figures are, at best, a “guestimate” says Illene Roth, county auditor. The rate could go up or down depending on the annual recalculation of property values, which will come in in mid-2017. The only thing that is fixed is the limit of $1.5 million in additional revenue. The county is due to receive about $3 million in 2016. If the proposed increase is adopted, the county would bring in about $4.5 million. Even then, property taxes would account for less than one-third of county revenue. Over the past three years, the county budget has ranged from $13.7 to $14.7 million. “With the (proposed) tax increase, the county is still under the two school districts” in size of levy. “It’s still No. 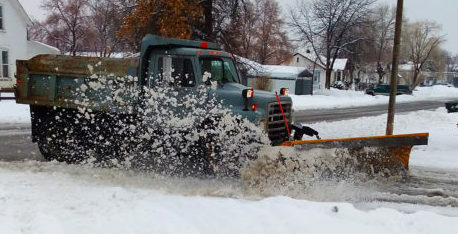 3,” said Mayor Richard Squire of Ephraim. Sheila Bringhurst, secretary for the Sanpete Cooperative Landfill Association and also coordinator of the Sanpete County 911 dispatch center, recalled 2011when all county employees took a week off without pay as an economy measure. “If there’s a nicer place, a cheaper place to live (than Sanpete County), there’s a road in and a road out,” he said. Bartholomew said if commissioners adopt the increase as proposed, it would cost the typical homeowner $10-$11 per month. By state law, primary residences are taxed on 55 percent of their assessed value while business property is tax at 100 percent of value. So businesses will take a bigger hit than homeowners, he said. Bartholomew, who owns both a home and a ranch property, said the increase would cost him personally about $500 per year. Both commissioners responded to questions aired at the earlier tax hearing about pending fairgrounds improvements and about whether the county could have made money by selling the fairgrounds several years ago and building new fairgrounds in another location. 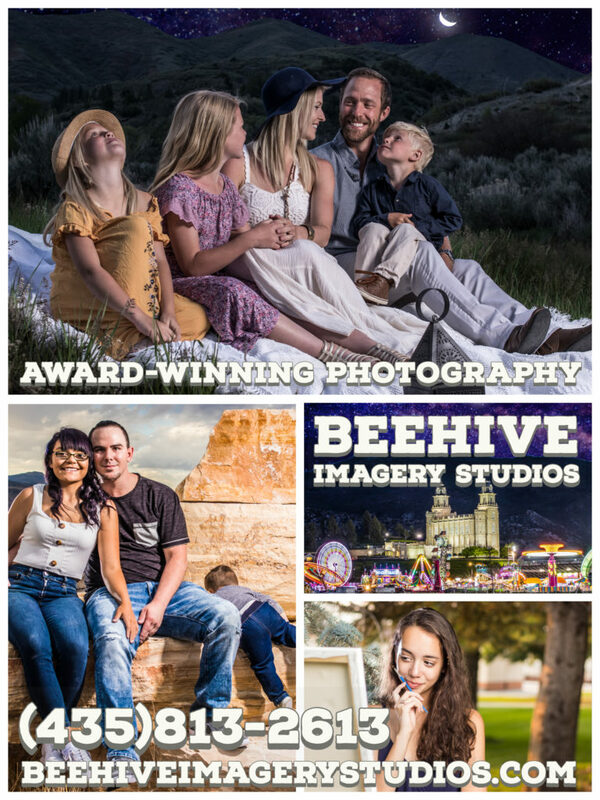 The county and fair board have raised about $1.4 million from a Utah Community Impact Board (CIB) grant, a foundation grant, and donations from businesses and private individuals. But as of early October, they were about $400,000 short of their $1.8 million budget for rebuilding the grandstand, and adding restrooms and other improvements. The fair board is continuing to raise money. And it hopes to get substantial in-kind donations. But any shortfall could have to be made up by the county. Jarrett said the proposed relocation of the fairgrounds had been hashed out years ago, and the commission at that time chose to keep the fair in Manti. She added that no appraisal was ever conducted to determine the value of the fairgrounds, so the notion that the county could have made money by selling the property was never verified. But she said of the 90-year-old grandstand at the fairgrounds, “It’s failing. It’s a tremendous liability,” which is why it needs to be replaced. That’s the term Commission Chairwoman Claudia Jarrett used at a recent hearing to explain why Sanpete brings in a lot less in property tax revenue than other counties with similar populations. The state classifies counties with populations of 11,000-31,000 as fourth-class counties. Sanpete is one of seven fourth-class counties. Sanpete County taxes are low compared to taxes in similar counties. The county’s current certified tax rate (the decimal that is multiplied by the assessed value of property to determine how much it is taxed) is .002792. That’s the sixth lowest among the seven fourth-class counties. Only Wasatch County has a lower rate. That certified tax rate is a little higher than the base rate advertised as part of the proposed tax increase. That’s because the .002792 rate includes some things, such as the bookmobile, that would not be eligible to get any money from a tax increase. The proposed tax increase only applies to the levy for general county operations. If the county commission approves the tax increase now being proposed, the certified tax rate for everything, both general operations and special line items, would go to an estimated .004170, which would give Sanpete the second highest rate, behind Sevier County. The problem is that Sanpete County, unlike surrounding counties such as Juab, Sevier, Carbon and Emery, doesn’t have any mines, power plants or railroads, the types of properties that pay substantial sums in property taxes. The accompanying chart captures the consequences of current low taxes and a donut-hole economy. Sanpete County has to provide the same services to a similar-size or larger population than other fourth-class counties. But at current tax rates, it ranks seventh out of eight counties in the amount of property tax it brings in. 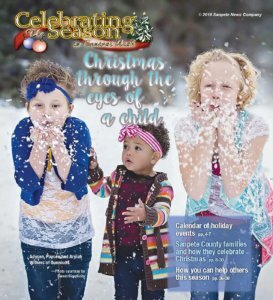 The only county below Sanpete is San Juan, and San Juan’s estimated 2016 population is 14,700, compared to Sanpete, which has an estimated population of 27,800. If the county commission adopts the proposed tax increase, property tax revenue will go up $1.5 million. 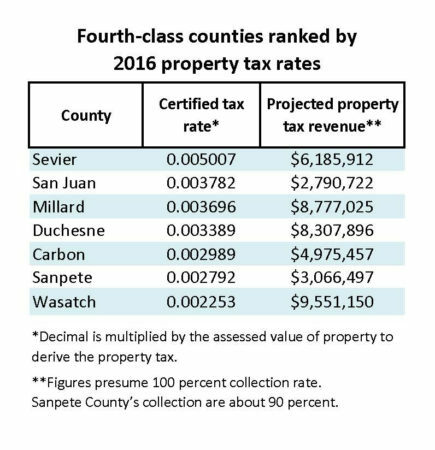 But Sanpete will still be sixth out of seven fourth-class counties in property tax revenue ahead of only San Juan County. EPHRAIM—The Ephraim City Council has voted to shut down the troubled DJ Trailer Court on 200 North and 200 West in Ephraim, an action that will require occupants of about 20 trailers to move. At a meeting last Wednesday, Nov. 2, the council unanimously approved a motion by Councilman John Scott to reject a “mitigation plan” submitted by David Strate, the property owner, for fixing a long list of deficiencies identified in an inspection of the property. From there, the council moved quickly to a motion by Councilman Todd Alder to notify the owner and residents that all utilities would be shut off Jan. 31. Alder’s motion also passed unanimously. Brant Hanson, the city manager, said city staff would hand-deliver a letter, written in both English and Spanish, informing residents they needed to move by the end of January. In addition, he said, the city would hire a contractor to shut off utilities. That way, the city could be sure utilities “are terminated properly” so the shut-off wouldn’t cause any damage or problems on or off the property. Hanson said the city would also have a temporary fence put around the property, which takes up a good part of a city block. But he said the city would put a lien on the property in hopes of eventually recovering the costs of the utility shut-off and fencing. In late September, inspectors from Sunrise Engineering, a firm the city has contracted with for building inspection, code enforcement and related services, inspected the trailer court and drew up a list and description of problems that ran nearly 20 pages. In response, the city council ordered Strate to take some immediate steps, including cleaning up junk; removing abandoned trailers; removing RVs, which under zoning aren’t permitted on the site; and providing information to the city about who owns the various trailer units on the property. Besides those steps, the council directed Strate to prepare the mitigation plan describing how he would correct the other problems described in the 20-page Sunrise Engineering report. The plan was due Oct. 21. Hanson reported that while Strate had done a little work, he had not completed most of the immediate requirements. Abandoned trailers and RVs had not been moved, he said. He said he was concerned about evidence Strate was trying to hand off responsibility for some repairs to tenants. A man had contacted the city, Hanson said, saying he had asked to rent one of the abandoned trailers. The man reported that Strate had told him he could rent the unit, but first, he had to fix utility problems. And while the mitigation plan came in on time, the council decided the plan failed to show serious intent to fix the all problems outlined by Sunrise Engineering. Council members asked City Attorney Marcus Gilson if the city was on firm legal ground in closing down the trailer court. “I think we’re fine,” Gilson replied. Hanson, the city manager, said he regretting displacing the low-income residents of the trailer court. In that context, he described being contacted early in deliberations on the trailer court by the daughter of a resident. She asked what was going on and whether her mother would be forced to move. Hanson replied that, yes, her mother might have to move. 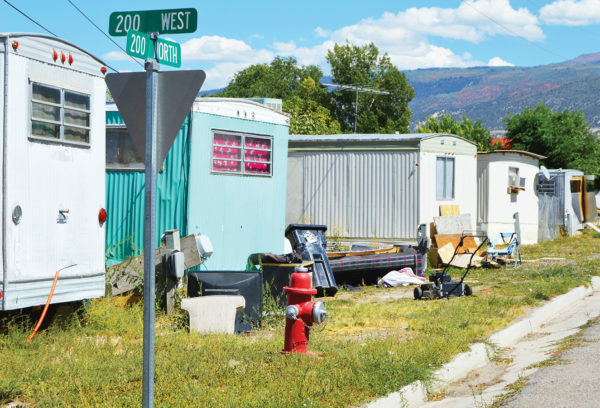 Following the council action, Mayor Richard Squire said, “We’re not stopping.” He said the city would be inspecting two other trailer parks in Ephraim soon.